From innovative technology to increased engagement by the private sector, several exciting trends are propelling the world’s impressive gains in financial access, according to the newly released annual report from the UNSGSA. The report also details the many ways in which financial inclusion is driving progress on the development goals. Despite this progress, however, gaps remain—most notably among women and the poor—and account usage lags behind access. The report details the UNSGSA’s ongoing efforts to address these issues through three key areas of work: ensuring usage and development impact, reaching neglected populations, and creating the right environment for technology-enabled financial inclusion. Read the full report. 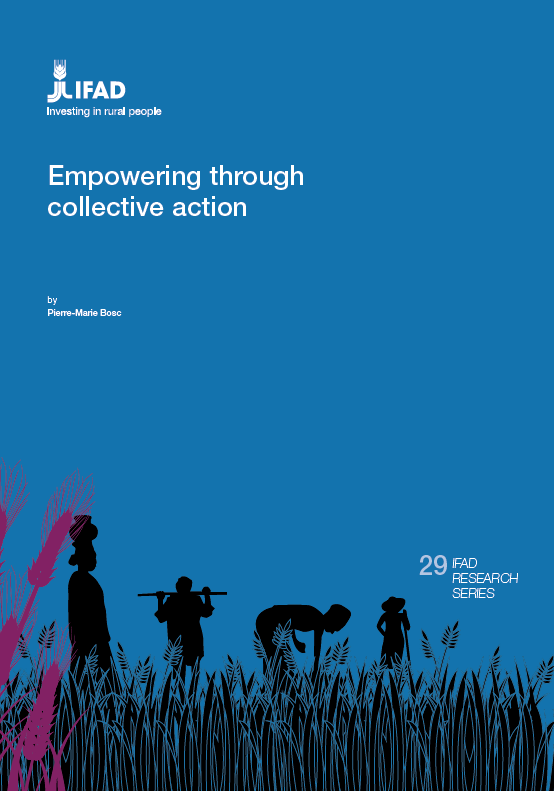 This paper is focused on how collective action can contribute to inclusion objectives, with particular respect to the agriculture sector. It was released in October 2018 as part of IFAD's Research Series, which brings together cutting-edge thinking on smallholder agriculture and rural development. Drawing on empirical and theoretical references, the paper posits that collection action could influence the domains of "public goods provision, expanding opportunities and challenging current norms and behaviours." Although inclusive business (IB) is primarily private sector driven, governments play an essential role in creating an enabling environment for IB and its contribution to achieving sustainable, inclusive economic growth and development. This report recognizes that highlighting factors such as institutional development, investment climate, access to health care and education, and social protection for rural development and poverty alleviation would aid the Asian and Pacific region in achieving inclusive growth. South Africa is faced with a crisis of high and rising youth unemployment. Throughout the country, only 1 in 3 young people of working age is employed. This distressing statistic not only plays out through the limited earnings potential and future prospects of these youth, but also emerges within stymied business growth and unsustainable pressure on governmental social programs. The solution will take action from a variety of sectors and actors in order to turn the tide. This report, funded by The Rockefeller Foundation, highlights two cross-sectoral partnerships—the EOH Youth Job Creation Initiative and the Mentec Foundation—that have seen success in placing these disadvantaged youth in jobs throughout South Africa. The report concludes with a table of recommendations for employers, training providers, philanthropic funders, and government officials to begin growing and replicating these efforts. The current global crisis of economic exclusion and inequity has millions of people in poverty with limited opportunities to escape. The questions of how markets work, and who they work for, have never been more pressing. Truly inclusive markets lead to expanded opportunity for more broadly shared prosperity, especially for those facing the greatest barriers. With support from The Rockefeller Foundation, we analyzed historical cases where such inclusive transformations actually occurred in order to understand the ways in which they were achieved. Using these insights, we offer practical recommendations for funders and intermediaries seeking to enable more of these shifts in the future. This paper examines the 2016 IPOs of two Indian micro-lenders – Equitas Holdings and Ujjivan Financial Services – and how they “hardwired” their missions to prioritize their clients, setting them apart and driving their success. The experience of these two companies suggests how a responsible financial services company can position itself to go public while maintaining its social mission. A new report from FSG, Hardware Pioneers: Harnessing the Impact Potential of Technology Entrepreneurs, investigates the obstacles to development and scaling faced by those seeking to bring innovative hardware technologies, such as solar lanterns or low-cost medical devices, to people living in poverty throughout developing countries. The report suggests ways in which various sectors can leverage their unique resources to strategically support the journeys of these pioneers, from the initial inspiration to ultimate impact at scale.